Living in Colorado has afforded me the opportunity to ride many of the most spectacular road bike route and climbs in the country. I remember when it took me hours to research and map out routes, I have tried to compile recommendations and short-cuts for you while telling the occasional fun story. Please enjoy! I also write blog posts about Colorado cycling topics: like Dressing for the Weather in Cycling and more. 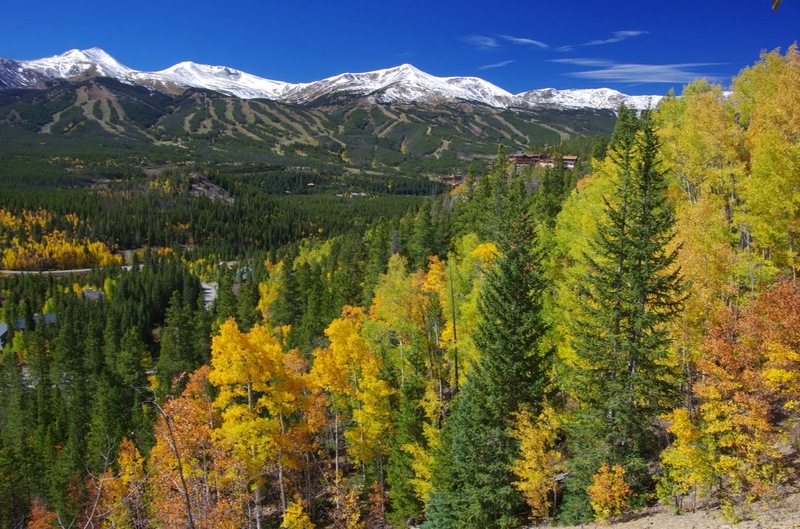 SUMMIT COUNTY CYCLING - A guide to road riding near Breckenridge, Frisco, Dillon, Keystone, Copper Mountain and Vail Pass. I am a Ride with GPS Ambassador to Summit County. FAVORITE RIDES - My favorite rides in Colorado and France are featured. 5. Writing local stories of cycling - throughout this blog. 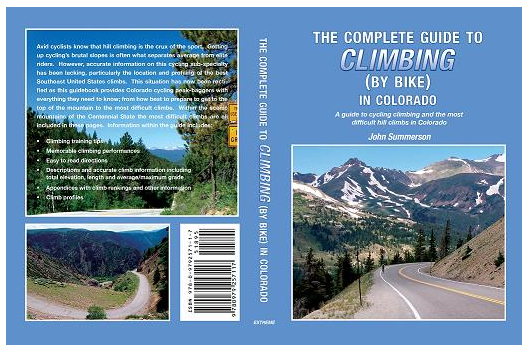 The Guide Page allows you read all the resources available about the specific climb you plan to conquer; planning ahead to make your ride better and your bucket list more complete. I begin with the FAQs for each of the most popular Colorado climbs (or ones I really think you should ride), then offer links by the experts. USA PRO CHALLENGE a collection of information and race reports from Pedal Dancer for the 2011, 2012, 2013, 2014, and 2015 USA Pro Challenge, professional UCI American Tour stage race in Colorado. My favorite areas to cycle in Colorado: I am certain every cyclist has their own personal favorites. ... With dry roads and sunny days stretching out ahead of us, we’re joining the frenzy—and helping you do the same—by highlighting some of the best road cycling routes (for beginners and experts alike!) 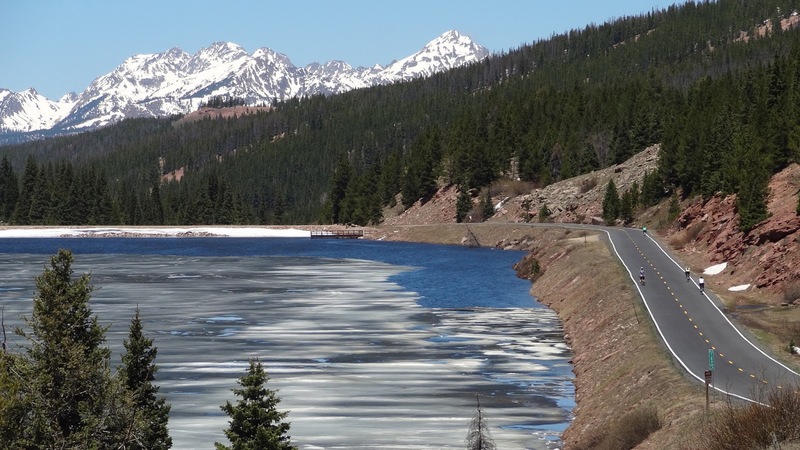 along the Front Range and in Colorado’s famed high country. Clip in and enjoy the ride." 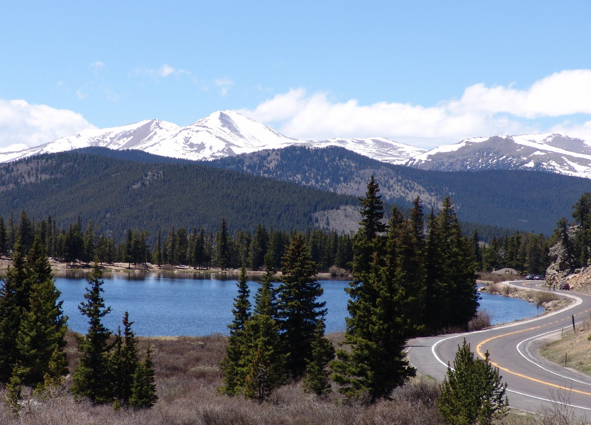 In her article recommending 21 bike rides in Colorado, Lindsey B. Koehler has listed the major nearby city, distance, difficulty level, maps, profiles, and most importantly - rest stops or happy hour locations near the routes. 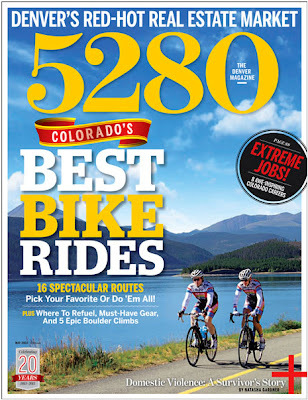 I enjoy a destination or loop ride, and this 5280 article offers plenty of choices. I could fill the year doing all these routes; there remains three I have yet to tackle. Denver: The Ride: Confluence Park to Cherry Creek State Park (Easy), Distance: 28.4 miles round-trip, [I personally like the extension of the Cherry Creek Path from the Reservoir down past Parker]. 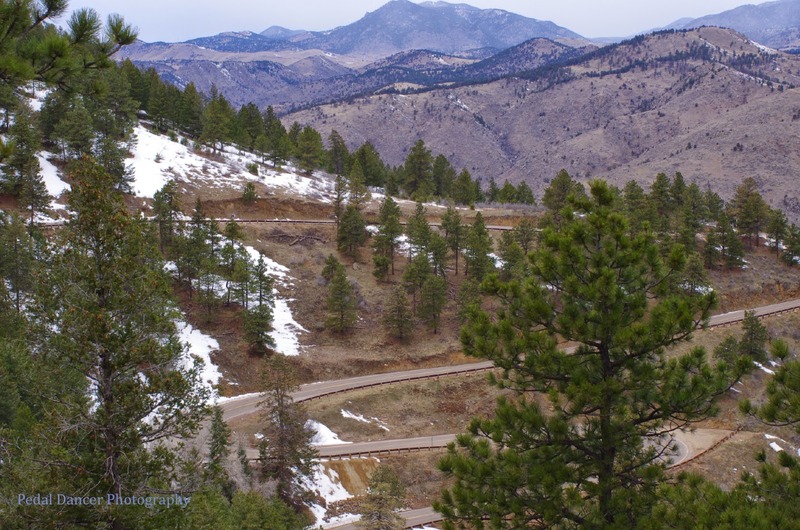 SteepClimbs.com offers a list of 13 rides including descriptions of his favorite climbs in the state: Colorado Climbs. A nice list for a rider from South Carolina. Sometimes the best riding can be found when someone else has already planned the route, it is a good idea to look at the routes these planned events use, also check out MapMyRide.com. Don't confuse the USA Pro Cycling Challenge with The Tour of Colorado which has been a collection of local amateur and pro races in Colorado since 2008. It is not a stage race. 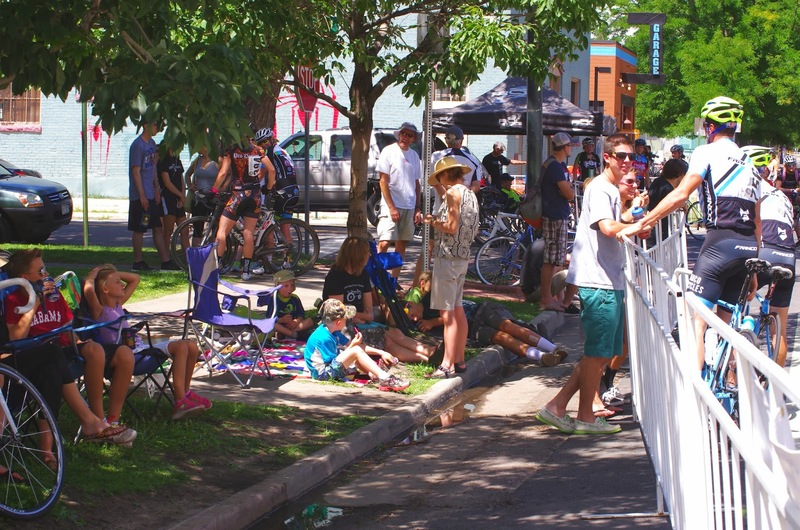 Races: The series is comprised of the Rocky Mountain Omnium in Glenwood Springs. North Boulder Park Criterium. 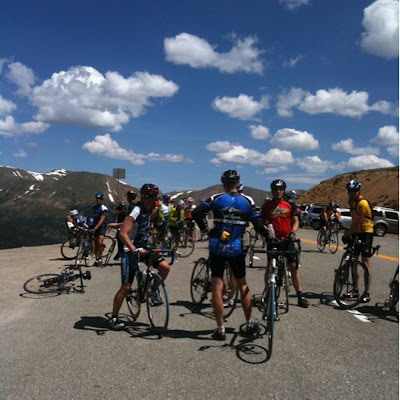 Bob Cook Memorial-Mt.Evans Hill Climb. Sand Creek Air Force Academy Road Race, (Colorado Senior Road Championship). Description: The name is Trademarked by Sand Creek Sports. Overall Awards are given for accumulated points in specified local races. Tour of Colorado is a series of existing Colorado races. Some races will be permitted with USA Cycling and some with the American Cycling Association. In my Opinion: Just a name. They were hoping to sell the name to the Tour Organizers above, but didn't. The series matters to maybe 20 cyclists in the state who race all these events and have a chance at an award. Who you will see: 1500 amateur cyclists capable of riding 60-100 miles per day. 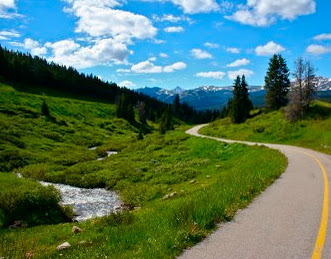 Description: 463 miles, 7 day fully supported bicycle tour in the Colorado Rocky Mountains over several big mountain passes. In my Opinion: Challenging week of long mountain passes and porta-potties. A hard week on the saddle. You need to train well, ride steady, and be able to self support for this ride. 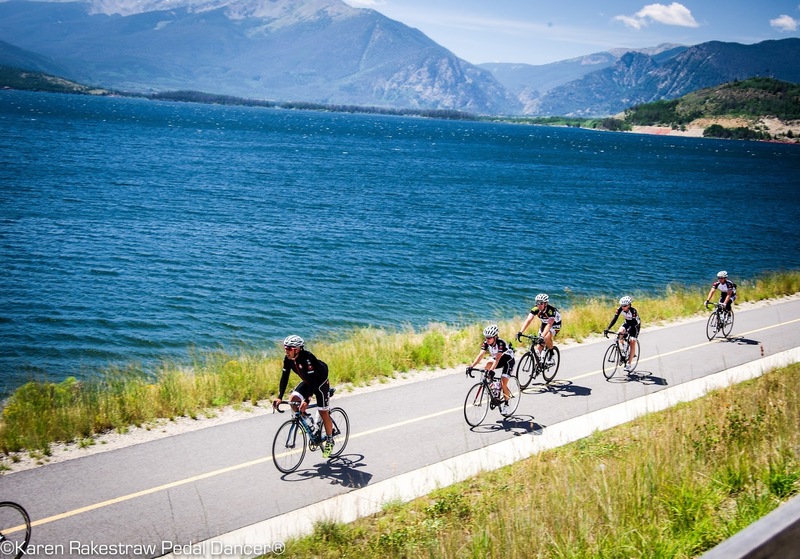 Event organizers offer the usuals but riders are not pansied to as they are on Ride the Rockies. This is truly a ride, eat, rest, ride kind of week. I have a good friend doing this ride this year, so maybe I will have photos to share later. Description: The Denver Post Ride The Rockies is an annual bicycle tour that takes 2,000 cyclists, assisted by more than 100 volunteers, on a 6-7 day ride on paved roads through Colorado's Rocky Mountains each June. 400-530 miles. In my Opinion: Fun, mod/hard, very social week, with 2000 cyclists of ALL abilities. In its 30th year, this ride has a long history in the state with 2,000 riders vying for lottery entrance each year. Ron Kiefel and Nelson Vails have a tradition of joining the ride, this year George Hincapie will join in, as his brother Rich has been a regular for years. This is a casual social ride week with good climbs to please a pack of strong riders as well as tons of early starting moderate riders. when: annually in July. There is no mass start time. Start time is 6:00 a.m. to 8:00 a.m.
why: a chance to ride three huge Colorado Rocky Mountain passes (Squaw, 11,140'; Loveland, 11,990'; Vail, 10,560') on one 122-mile "lung-busting day" with over 10,600 feet of climbing. This is a ride event, not a race (there are no times given). Ride Report: Colorado High - Squaw Pass. 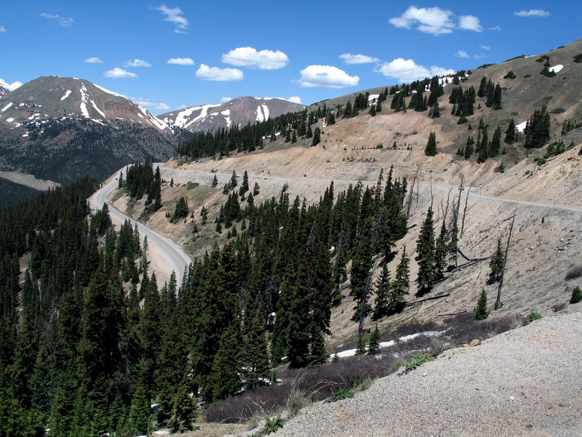 The Triple Bypass is a classic bike ride event every July in Colorado. For 23 years this event has been growing in popularity. Getting into the ride has become the real race. 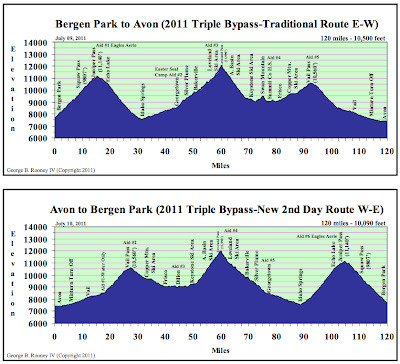 After the event sold out in 45 minutes in 2010, the event organizers at Team Evergreen have devised a new registration plan, entrance into the Triple Bypass is a two step process: pre-registration/drawing and then registration (if your name is drawn). It is said (by insiders) that 50% of participants on the annual Triple Bypass event ride in Colorado have ridden the Triple one, two or more times. The other near fifty percent are new! 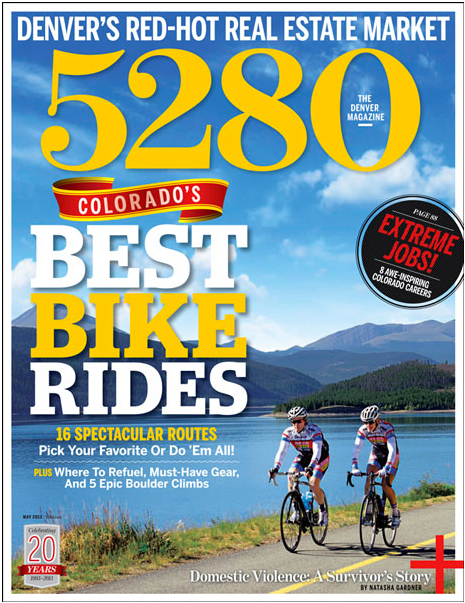 That is an incredible number, especially for marketing personnel who need to find those new riders each year, but mostly for the incredible challenge taken on by first-timers to the most challenging ride in Colorado. I say, if you can do it - do it now! Once I did it, I was done (and happily off to new challenges). 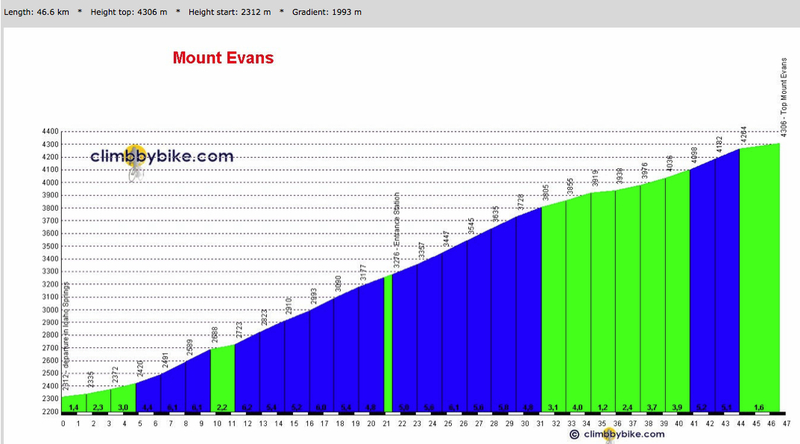 Good bike fit is very important with this much climbing, descending and a long day in the saddle. If a personal coach drives you to train better - invest, otherwise plan your own rides in increasing distances and purpose (big mountain climbs!). 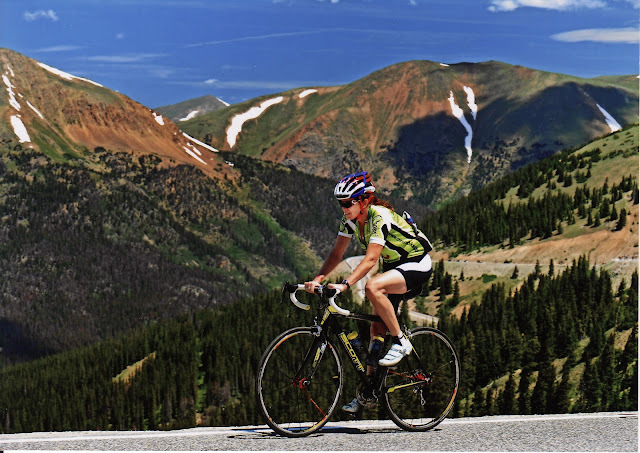 Excellent training for the Triple Bypass is to ride an event like Ride the Rockies in June (or travel to France for a couple weeks like I did!). But you can simulate Ride the Rockies on your body by riding consecutive hard days of 50-70 mile distances, 3 days in a row. And then repeat. Active resting in between. Get all your gear ready the night before (and check your tires) so you will be ready to go in the morning. Show up with a clean bike! Know and test all your gear (clothes and equipment) before the ride, don't experiment on ride day. There is no need to have a riding partner on event day, or have the need to keep track of a large group throughout 120 miles of the ride. Chances are if you have trained together, you will be close in proximity on event day, or there to cheer them across the finish line. There are so many cyclists out on the road, excellent volunteers, aid stations and sag support, you should be safe and content and independently capable of this type of ride if you have prepared well. Get out in the elements! You want to put yourself in all weather conditions to best prepare for the Triple Bypass. Test out your gear and layers and your mental toughness. Buy and bring a good rain jacket. Expect to use knee warmers, and arm warmers, and definitely cycling gloves. Expect to be both cold, then hot and cold again during the course of the day. Bring ID, money and a phone (in a waterproof case). If it is raining (or rain is in the forecast) wear long finger gloves. I never ride with a backpack. I carry all my gear in three deep pockets on a short sleeve cycling jersey. Hydrate hydrate and eat very well for 3-days prior. Personally I do not carry 2 full water bottles, I do use 2 bottles, but they are not always full. I study the course and plan where I will collect water based on ascent and distance. Since there are so many aid stations along the way, if you keep moving you do not need to (or should you) linger long at the aid stations. Use the aid stations, but move through them quickly. I pre measure and carry my own electrolyte drink powder mix inside small baggies to add to additional bottles of water throughout the day. This is not the day to experiment with any new mixes served at the aid station. The standard consumption of water is 1 bottle of water every 45 minutes, more if it is hot. If it is cold force fluids. You are still sweating, still blowing off Co2 and getting dehydrated. I keep my food open in my pocket and eat while I ride, I do not only eat at aid station when my bike is stopped. Avoid the bonk but eating known foods and eating steadily along the entire route. I break bars into small pieces and put them in baggies so I can reach into my jersey pocket and chew on a small piece. Ride very steady on event day, especially up Squaw Pass in the early morning. Squaw Pass is a long an intimidating start. Try to avoid sweating a lot when climbing to avoid getting chilled on the downhills. Keep your effort very steady both up and down the climbs. If you are comfortable with the technique of rotating the pedals even on the long downhills to keep the blood moving in your legs, do so. Get used to riding without music. You will want to hear "on your left". Do not stop for long breaks. Keep moving along. The weather might (more like definitely will) catch up with you later if you delay at every aid station. The key stretch for avoiding weather on the ride is between Summit highschool (south side of Lake Dillon) and the underpasses on the other side of Vail Pass. Get to this section as early in the day as possible to avoid the 2:00-3:30pm afternoon rain showers so typical in Summit County. Don't stress, stay steady and positive and relaxed (responsive) on your bike to save energy. It is an amazing feeling to see the finish line. After arrival eat as soon as you step off the bike, eat carbs and protein immediately. The recreation center near the finish offers showers for a fee. If you arrange for a friend to meet you at the finish with a backpack with towel and clean warm clothes, you will be so happy. Rest and shower, and then walk to dinner. Getting your heart moving again that evening will actually aid in recovery for the next day. Eat something for dinner that you would "normally eat". Try to get to sleep early, (even if you are restless at altitude if you stay in a hotel near the finish or plan to ride the Double Triple Bypass), lay still and rest your body. Encouraging one good friend to sag (drive, not ride) a group of you back from Avon to the start in Evergreen makes for a special finish to a day by sharing stories in the car on the way home. Otherwise bus transport back is provided at certain set times. Where to stay for the triple? The nearby city of Golden - nestled in the foothills near I-70 - would make a perfect place to settle for a day or two before riding the Triple Bypass. Whether you are arriving by plane/rental car into Denver International Airport, or driving south or north along I-25 into Colorado, Golden is on the path of convergence leading deep up the I-70 Corridor over the Rocky Mountains. Nearby Golden, you will find standard hotels and plenty of nearby climbs and roads to stretch your pedal legs and adjust to moderate altitude before taking on the high altitude climbs of the Triple Bypass. The actual town of Evergreen is residential, with few nearby hotels. If you plan to stay after the Triple Bypass and enjoy more local riding, the mountain towns of Frisco and Breckenridge, in Summit County, are a great places to road ride, mountain bike, paddle, hike and play. These towns are at altitude, so arriving into the state and plopping yourself down at 9000ft will take you three days (or more) to adjust. 1. Your auto insurance policy covers the car that is listed in the declarations. 2. If you borrow a car, the insurance policy that the owner has covers you. If the car doesn't have insurance, your coverage that you have on your insured car will cover you. 3. If you rent a car, your coverage that you have on your insured car will follow you to the rental. Note, the rental car company could charge you down time to repair car. This is not covered. 4. If you loan your car to a relative or friend your insurance policy covers the driver. 5. If you hitch up your car to a trailer and you do damage with the trailer, your policy covers the liability, but no coverage for the trailer. 6. If a driver has no insurance or is underinsured and is responsible for the accident, your collision covers the physical damage to your car. The uninsured liability will cover your medical costs and lost wages.